The very scale of the 1939-45 war has often tempted historians to study particular campaigns at the expense of the wider panorama. 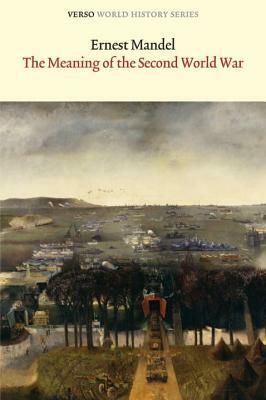 In this readable and richly detailed history of the conflict, the Belgian scholar Ernest Mandel (author of the acclaimed Late Capitalism) outlines his view that the war was in fact a combination of several distinct struggles and a battle between rival imperialisms for world hegemony. In concise chapters, Mandel examines the role played by technology, science, logistics, weapons and propaganda. Throughout, he weaves a consideration of the military strategy of the opposing states into his analytical narrative of the war and its results. Ernest Mandel (1923-95), historian, economist and activist, was a leading figure in the Fourth International from 1945 and was the author of a number of books, including "Late Capitalism, ""Marxist Economic Theory," "Long Waves of Capitalist Development," and "The Meaning of the Second World War."